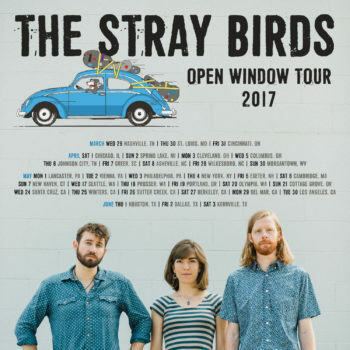 The Stray Birds—Maya de Vitry, Oliver Craven, Charlie Muench—have confirmed their first tour of 2017. Beginning March 28, at the WMOT-FM 89.5 Live at AURORA in Nashville, the 34-date tour is in support of last fall’s third studio album, Magic Fire. Stops will include Chicago, Philadelphia, New York, Seattle, Portland, Los Angeles, among others. A full list of dates is below.